Influencer marketing is a buzzword that has been thrown around a lot in the last couple of years. 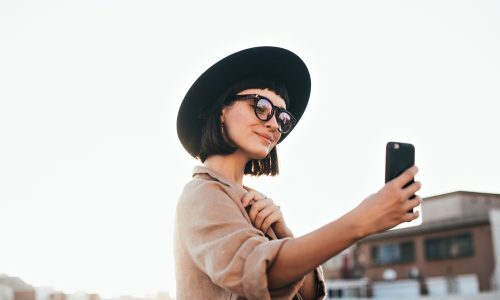 With the number of influencers on the rise, businesses have questioned whether it’s a sustainable marketing tool that can provide return on investment. This side of marketing can be daunting, especially for small business owners who don’t have a lot of spare cash to throw at a new, and sometimes controversial, advertising stream. But before we get into the real nitty gritty, let’s start with the basics. Influencers come in all shapes and sizes. What they have in common is a community of loyal and engaged followers. They have built a tribe based on trust and authority. Common influencer categories include travel bloggers and adventurists, photographers, food bloggers, how-to experts, beauticians, models, comedians and public figures. How and where can you find them? “There is a lot to consider, such as; where their followers are based, who are their followers, age bracket, how many of their followers are male vs female? Regardless of following, you want to find an influencer who has an audience that would be generally interested in your product” says Anthony Richardson from Q-83, an Australian influencer analytics platform. Influencer marketing refers to the relationship between a brand and a social media persona. Think of an influencer as a brand spokesperson but to a lesser extent – the influencer promotes the brand’s products or services through their own social outlets in an organic way - kind of like product placement in films. Instead of the brand having total control of the message, like in traditional advertising, the influencer generally has control over content creation while integrating the company’s advertising specifications. Have you ever found yourself scrolling through Instagram, and seen a post by an account with a large following, spruiking a product or event? That’s influencer marketing. There’s a lot to consider when you’re thinking about taking the leap into the world of influencer marketing. Where are their followers located? What age bracket do they appeal to? Who is my competition? Are they using influencer marketing? What platform will be used to engage followers? What follower count should I look for? This is a hard question to pin point as it really depends on the types of people who are following that particular influencer. Follower count isn’t the be all and end all these days. Mostly, all that matters is how engaged their followers are. Often, the bigger the following, the broader the audience. However, if you’re a small business looking for an influencer to promote your products, we recommend starting small, perhaps with a micro influencer. Those with social media accounts and personalities with smaller but more engaged audiences of around 3,000 followers are generally classified as micro-influencers. Picture this. You own a café in Melbourne’s thriving and competitive hospitality scene and want to promote your new vegetarian and vegan menu items. Finding an influencer based in Melbourne, who also promotes their love of vegan food is probably the way to go. A large portion of their followers will be from the Melbourne area, and their followers will be foodies too. This means they are likely to be more engaged and interested in the food recommendations of the influencer - “the more targeted the following, potentially the more value for money for brands,” Richardson suggests. Plus, another benefit to micro influencers is that they’re often more actively engaged with their followers but are also more likely to have more flexible payment terms. Engagement rate is typically a goodmeasure of success but it’s not always so transparent. When Anthony built Q-83, a platform that measures influencer engagement, he saw there was a real gap in reporting and measuring potential return on investment. “Traditionally, brands and agencies have had to rely on a screenshot from the influencers profile, or they would have to take the influencers’ word for it when it came to metrics." This can be quite frustrating for brands as they are taking a gamble on whether the influencer has the right audience for their message and makes the agency liable for any incorrect data. Tarryn Williams, Founder and CEO of The Right Fit, an online hub that connects brands with influencers, also weighed in on effective measurement, stating that "the KPIs should include the creativity of the storytelling, the quality of the content, and the ability to convey the brand messages in an authentic way." How can I approach a potential influencer? First, reach out privately and personally. A direct message is a great place to start, or if you can find an email address, even better. Don’t make the message too generic, let them know you’ve put time and thought into your initial contact and that you understand the message they’re putting out. And, once you connect with an influencer, it's important to "find a unique angle that will be mutually beneficial to both the influencers audience and your brand," says Williams. What do I need to be wary of? Followers are increasingly easy for people to purchase and, if the only aspect of influencer marketing that you’re focusing on is a follower count, that can lead to disappointment when the results from your collaboration aren’t positive. Williams says, "creative storytellers who can work collaboratively with a brand [should] be the focus, irrespective of the number of followers" they have. When choosing an influencer, always see how actively engaged their audience are, and whether the engagement is genuine or full of bots. A bot is a particular type of chatbot – think those automated pop ups that appear when you visit a website – that is used for social media to automatically generate messages, comments and likes. They can even be fake accounts used to bolster follower numbers! Also, make sure you’re following the influencer marketing guidelines recently issued by the Australian Association of National Advertisers. Influencers must disclose when a post is sponsored and endorsements must be clearly distinguishable to the audience. All influencers, marketers and media agencies must adhere to the guidelines. Is it a sustainable form of marketing? The verdict on this one is still out – however, it’s safe to say that in recent years it has proven to be one of the most effective ways of targeting your chosen audience, while providing a great return on investment for businesses of all sizes. In order to ensure the sustainable use of influencers, the message you put forward must be authentic. If you’re thinking about enlisting the services of an influencer, ensure you do your research first in order to get your chosen message across while reaching your chosen target audience. Before you invest in an influencer to bolster your brand, it’s important to make sure your social media channels are up to scratch. For help with your Facebook and Instagram advertising, get in touch with an Online Solutions Advisor today.